Expand my horizons, my life, my soul, as positive changes are now my goal. There are a lot of people out there who believe they are having “a run of bad luck” and they say things run in 3’s. So here is what we are going to do. Because this is the start of the next wheel, forwarned is forarmed. “In luck I trust, in luck I believe, with this cloth, good luck I weave”. Hold each pouch in the incense smoke and then place 2 safely on your altar/sacred space/magick box and hang the other over your front door. “Bad luck has come but not to stay, I bury it now to turn it away”. Return home and hang a new one in its place. It is turned and we are done. Cast your circle or sacred space, ensuring you have a comfortable area to sit within your circle as you could be there some time. Light the two candles in the west of your circle forming a doorway by which spirit can enter should they choose to do so. Now, take one crystal in your hand, close your eyes and remember the good things about that person – those things that made you smile, laugh or cry. Then, when you have remembered the things you wanted to, simply state something like “If you are able, please come and sit with me…name….” then lay down the stone with the candles. Lift your glass and toast them and take a drink. Continue until all the people you wanted to think about had been remembered. You may get the feeling that one is present, a few or all if you are lucky, in which case it will be a crowded circle. However, it is lovely to sit and remember and let them come should they want to. This is what Samhain is for and why the children dress as ghosts and ghouls. When you have sat for enough time and all is done (you can also do your divination within the circle as it would definitely be a powerful reading), then simply pick up each crystal individually, stating something like “…name…, thank you for your time, and I bid you hale and farewell.” and when all have been thanked, then close down your circle and keep those special crystals on your altar. The Circle’s cast; and Blessed Be! Note: These Norse style verses were taken from a file I got (I think) from Paul Seymour. Don’t know who author is. Wyrd-weaver at the World-tree’s root. With “Blessed Be’ I send them forth! Our circle’s done; and Blessed Be! Place an apple and pomegranate upon the altar. There should also be a “planted” pot of earth for each participant – these may be arranged on the altar as well, if there is ample space. Instruments of divination may be placed within the Circle perimeter for use during the ritual if you wish. Arrange the altar as usual and decorate with Autumn leaves, pumpkins, etc. Behold the five-fold star – the promise of rebirth! 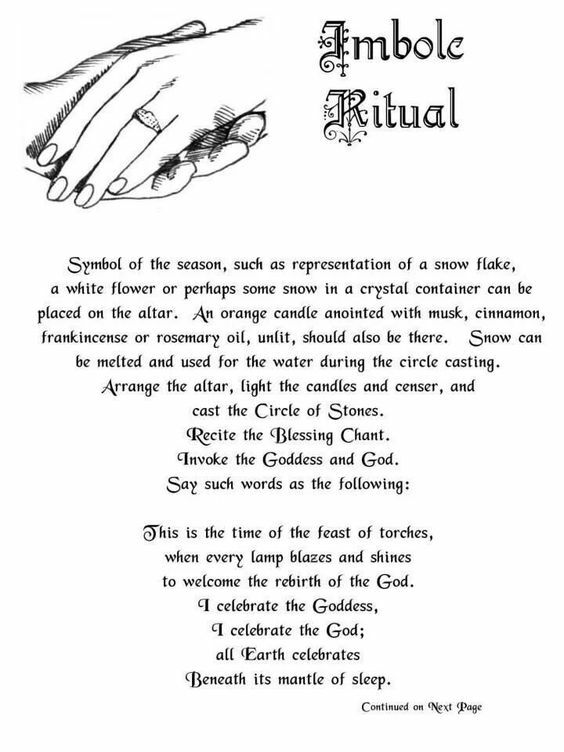 After libation, the Priestess presents each member of the group with a small pot of earth, planted with three seeds [preferably rue or lavender]. She briefly explains to the group that this is the season of the seed – it is a time of dormancy, but also a time of re-generation for growth. Further, as the seed rests in the earth, they should also take time to rest and re-evaluate their lives, metaphorically planting only those values which will enrich and enhance the growth within the Divine Self. She then instructs them to name the seeds within their pots with three values they wish to incorporate into their lives, knowing that as the seeds sprout with new life, their lives will be new, as well. In the cycles of nature – through the Cosmic Plan. If you feel you are being plagued by some malevolent spirit or energy, try this during the Samhain season to protect your home and send it away. Hollow and carve your pumpkin into a jack-o-lantern the normal way. This is no time for cutesy pictures or artsy expressions. Just carve your basic scary face into it. In meditation, talk to your jack-o-lantern. Give him a name. Tell him his purpose—to ward off evil, fend off baneful magic, or banish unwanted spirits. Anoint your votive candle with clove oil, building energy as you rub it in. Empower it with your desire by simply visualizing your desire going down your arms, through your hands, into the candle. You might chant as you do this. This is the energy-raising part of the spell, so really focus on your goal and let it build. Place the candle inside your jack-o-lantern. Drop some garlic cloves and a few pinches of black pepper around it for good measure. Put your jack-o-lantern outside your door. Light the candle to release the energy. Let it burn out. For maximum effect, do this three nights in a row (putting in a newly anointed candle each night).